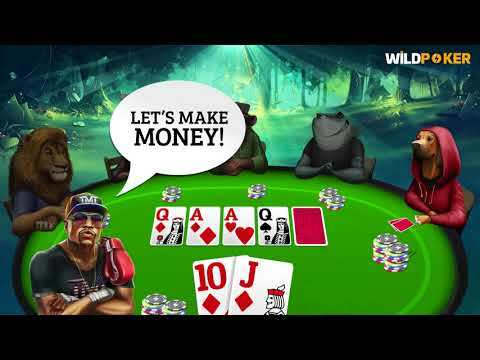 Floyd Mayweather has jumped on the poker bandwagon with a new social gaming app known as Wild Poker. Following his latest high-profile boxing bout with UFC star Conor McGregor, Mayweather has found a way to fill the void in his life with an app that combines video gaming and poker. The social gaming app was developed by PlayTrex and initially launched without the help of Mayweather. An update on November 20 changed all that though as the undefeated boxer now acts as the app’s announcer and star player. The deal, according to TMZ sources, will net Mayweather six figures upfront and more cash on the backend depending on how well the app performs. Like other social gaming products, players won’t be playing for real money, but they will be able to purchase in-game upgrades. Additionally, there will be the option to play as Mayweather and use special “animal instincts” to improve your potential in a hand. The collaboration is an interesting one for the poker industry as a whole as it taps into two prominent trends. In a general sense, the arrival of Mayweather is another example of a professional athlete showing an interest in the game. Over the last five years, the number of sporting figures entering the industry has seen operators such as 888Poker and PokerStars launch a variety of marketing campaigns. Wild Poker’s deal with Mayweather falls into the category of PR moves designed to attract casual players. In line with this focus on newbies, there are elements of the app that also mesh with the industry’s push to make online poker more like a video game. Much like the Wild Poker App, PokerStars Power Up incorporates elements that make each tournament feel more like a computer game. This use of special powers such as seeing hole cards are designed to appeal to novice players. While it can be argued that these “powers” bring another level of strategy to the games, the overall styling is a move away from the serious tone that has dominated online poker since its inception. PlayTrex’s decision to partner with Mayweather is clearly a move to tap into this narrative and attract those new to poker. With more than 27 million followers across Instagram and Twitter, the deal may well see more players download the new app and, subsequently, filter into the real money side of the industry.